Repeatedly, we hear about how fast the electric grid is transforming, and about how many difficult issues utilities, regulators, project developers, and other industry players must grapple with daily. Whether you engage with these issues every hour of the day or only tangentially, you know it’s necessary to keep up with what’s happening. 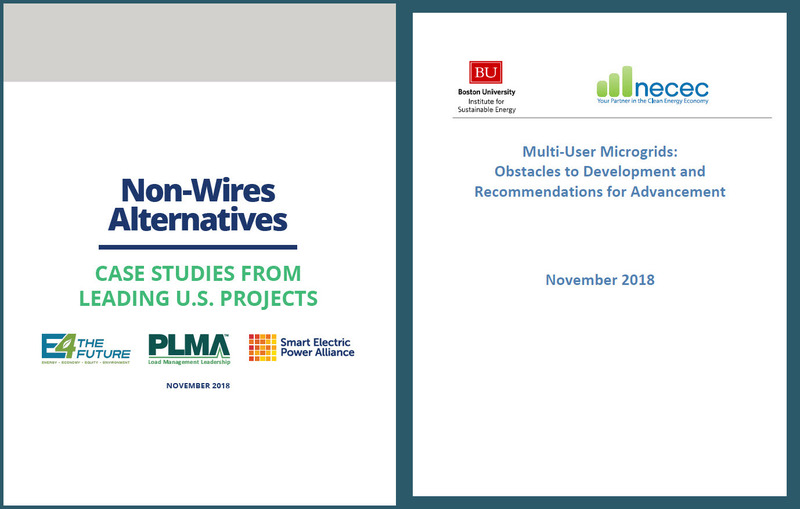 I am pleased to announce new essential resources on non-wires alternatives (NWAs) and multi-user microgrids (MUMs). These two papers bring insight to current grid edge topics, and show how location is critically important to planning. E4TheFuture was privileged to fund the development of publications that add to foundational knowledge and bring fresh analyses to important aspects of planning. Below, you will find an invitation for a “don’t-miss” webinar to deepen your understanding on these topics. Technology solutions included: energy efficiency (EE), demand response (DR), rooftop solar photovoltaics (PV), combined heat and power (CHP), conservation voltage optimization, thermal storage, generators, electric storage, and generation redispatch. Strengthening regulations and policies will improve the MUM playing field. The paper provides detail on where increased clarity and greater efforts are most needed, as well as several related legislative initiatives. How do we properly identify and evaluate the benefits and cost-effectiveness of NWAs and microgrids? 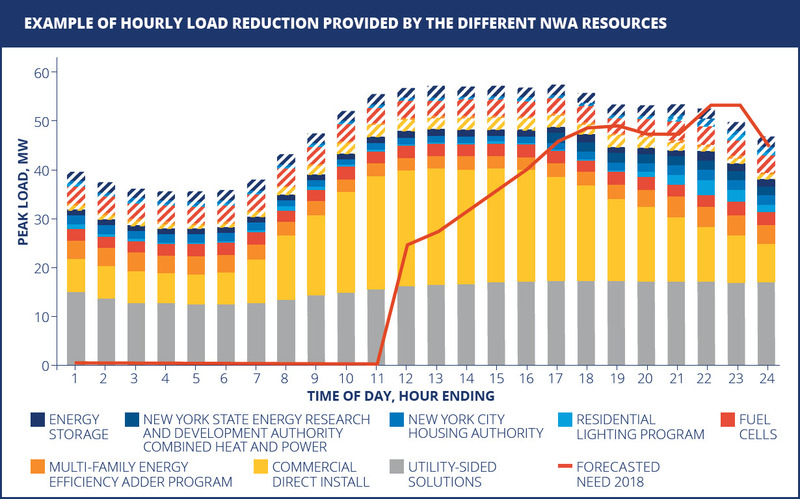 The overlapping approaches of using NWAs and microgrids to address the evolving modes of power delivery are interrelated: NWAs frequently include microgrids; microgrids are a non-wires alternative. Both can create significant societal value, such as for resilience, reliability, and health. The degree to which they overlap creates confusion. Do you understand their similarities and differences? Do your peers and colleagues? We need more clarity about their roles, advantages and potential pitfalls so that we can weigh the benefits and outcomes of grid-centric strategies. My hope is that the new publications will serve a constructive purpose for good-faith collaborations. We must continue to improve these powerful solutions, from core definitions to appropriately-scaled implementation. We also must get better at learning to evaluate and value the grid benefits of resilience. Locational valuation is under-monetized or in many cases, has been completely ignored in planning. Much has been written about the enormous value but accompanying lack of price signals. But awareness is increasing, which will help bring needed change. Locational value exists above and beyond the system benefits. To assist with benefit-cost analysis (BCA) of NWA projects, the principles and cost-effectiveness screening framework set forth in the National Standard Practice Manual (NSPM, Edition 1) may be helpful. While the NSPM in its first iteration focuses more specifically on BCA for energy efficiency, the National Efficiency Screening Project plans to address other distributed energy resources (DERs), including in the context of NWAs. Ultimately, we seek an improved system for both gas and electric power customers. It’s important to recognize that multiple DERs can be––and are being––used in microgrid and other NWAs approaches. A useful example (covered in-depth in the NWAs report case study) is the Brooklyn Queens Demand Management program (BQDM). It is one of the largest NWA projects in the U.S., and was designed to help delay the construction of a substation. ConEdison’s BQDM initiative demonstrates how a diverse portfolio of DER technologies can drive demand reduction and defer traditional infrastructure upgrades. Technologies deployed are on both utility and customer side. They include energy efficiency, fuel cells, CHP, demand response, distributed generation (PV), conservation voltage optimization (CVO), and battery storage. The project is successful and has been extended: ConEdison is now seeking additional load reductions to further delay, and possibly defer, any need for a new substation. ConEdison did not work alone. BQDM’s success relied on NYSERDA and National Grid (gas provider), implementation contractors and solution providers for diverse technologies. I hope you will take advantage of the materials assembled in the report that illuminate the BQDM example, and the other nine case study examples. Each case study is of crucial importance for learning. On December 6th, you can find out about NWA projects based on practitioners’ experience. Hear directly from the SEPA-PLMA project team and NWA project representatives about the results of our call for case studies. These will include compelling stories of lessons learned, and details about challenges and opportunities that lie ahead. On the roster are experts Brenda Chew, SEPA; Tiger Adolf, Peak Load Management Alliance; Mark Sclafani, Central Hudson Gas & Electric; and Sarah Arison, Bonneville Power Administration. I’ll be there, too. Register now. We look forward to your participation. Please pass the word along!